Medieval origins, later important Renaissance villa. 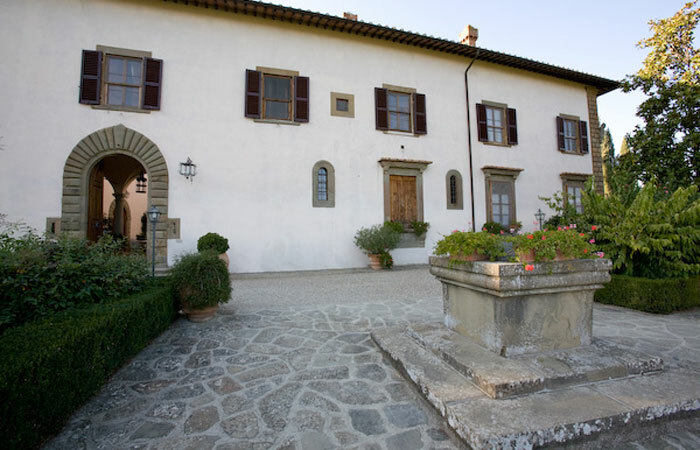 Today a magnificent country relais and one of the most important Chianti Classico wine producers. 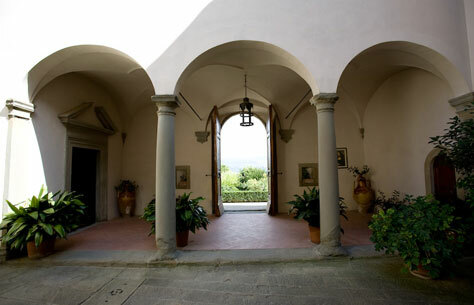 Situated on a high hilltop, only 20 km from Florence this beautiful white castle welcomes the visitors to the Chianti. 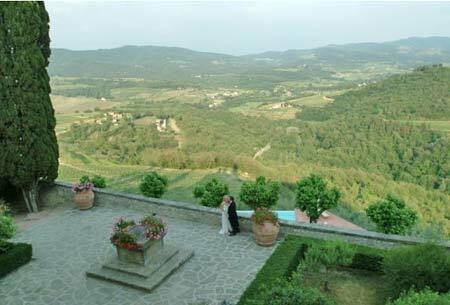 Stunning views, lovely gardens and panoramic swimming pool. 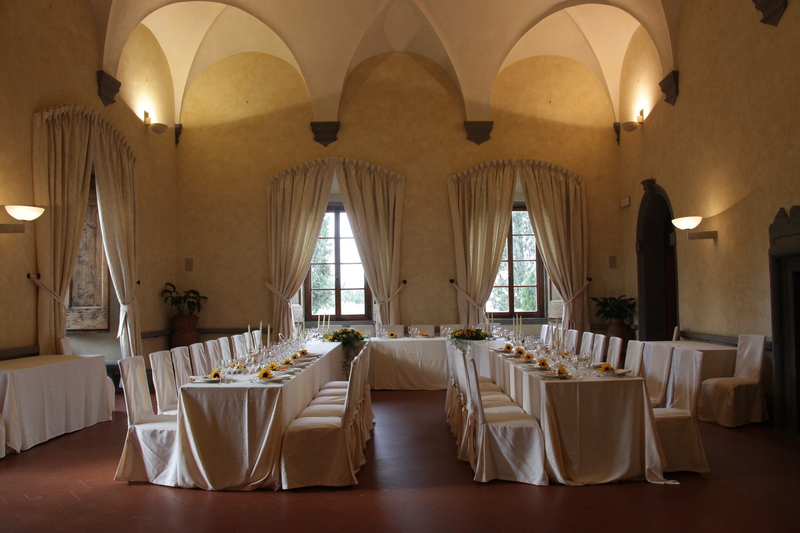 Castle main hall offers a stunning space for weddings and celebrations. The castle offers 9 self catering apartments and 9 suites, can accommodate in total 40 people. Wine tastings and delicious wine tasting meals on request. Events Up to 130 people in one hall. 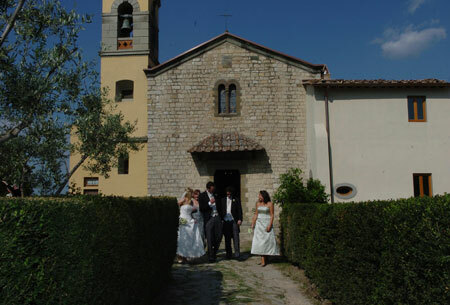 Small countryside at the castle estate church for religious wedding ceremonies.